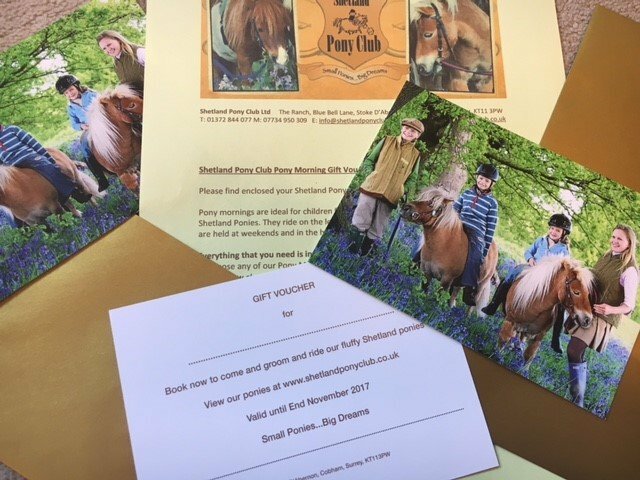 Shetland Pony Club gift vouchers are beautifully printed and presented in lovely gold envelopes, making them an ideal gift for anyone who loves ponies. 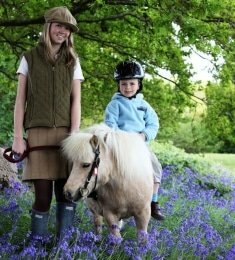 They are posted to a location of your choice by Royal Mail, first class. 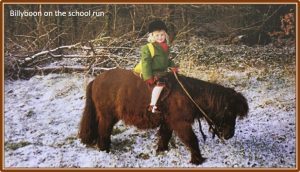 Our current gift vouchers are valid for until the end of November 2019. 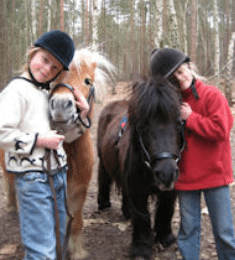 (Note that the ranch is closed for the winter in December, January and February). 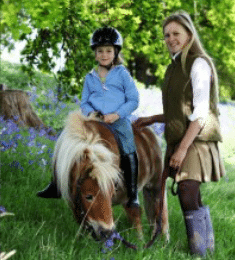 Recipients can book onto any of our sessions at a time to suit them, by simply calling us, or keying in their code into our online booking system. 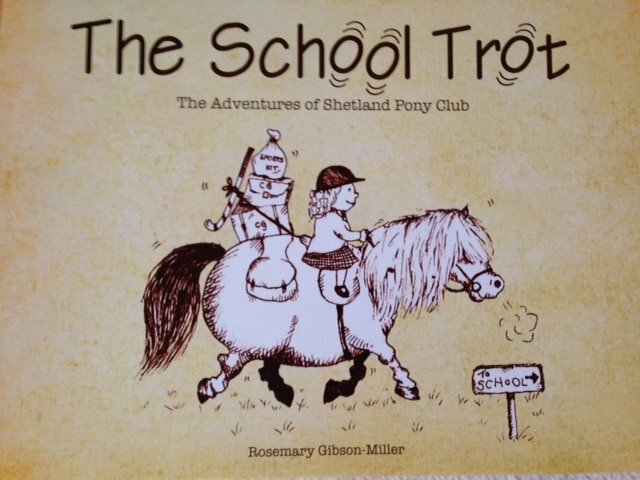 The School Trot – a beautifully illustrated children’s hardback bedtime story book, written by Rosemary, founder of Shetland Pony Club. 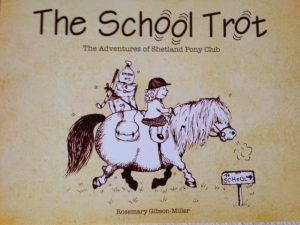 It tells the true story of her first Shetland Pony, Billyboon, and the adventures that happened to him, when her daughter, Camilla, rode him to school. The illustrations are drawn by staff member Charlotte Lillingston-Price (at the age of fifteen) who knew Billy for over a decade. Charlotte drew the delightful pictures which capture Billy’s true spirit. 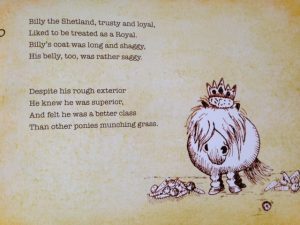 This book is a perfect short bedtime story and makes a lovely gift. If you would like to buy more than one book, call us on 07734 950 309 and we will take your order over the phone.